Flexijoint Fender series are constructed from high impact Thermo Rubber available in wide variety of sizes. Flexijoint Fenders are economical, optimum reliability, easy installation,flexible design for multiple usage and choices of colour. Display shown is Flexijoint Fender " D " Series. Sizes available are model FXJ-DF50 (50mm x 50mm), model FXJ-DF75 (75 mm x 75mm), model FXJ-DF100 (100mm X 100mm), model FXJ-DF150 (150mm x 150mm), model FXJ-DF200 (200mm X 200mm) and FXJ-DF250 (250mm X 250mm). Boats, Warehouse, Loading Bays, Ramp, Commercial Vehicles. 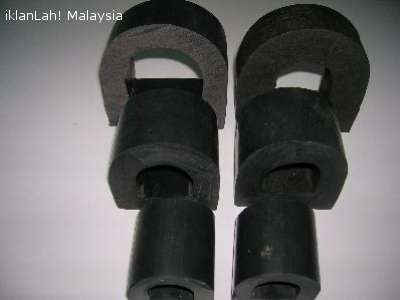 Flexijoint Fenders by Flexijoint Industries, market and sale by Flexijoint Industrial Marketing & Services, Kuala Lumpur, Malaysia.